Kursk region [Курщина; Kurshchyna]. A mixed Russian-Ukrainian region within the Russian Federation, northeast of Slobidska Ukraine. During the Princely era of Kyivan Rus’ this region was part of the Chernihiv principality. Devastated by the Mongols in the 13th century, this region became part of Muscovy in the 16th century. 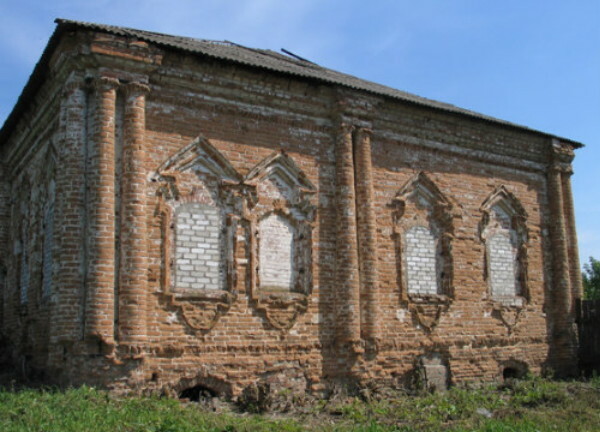 In the 17th–18th century the southern part of the Kursk region was colonized by Ukrainian Cossacks and peasants. In the 19th and early 20th centuries it constituted Kursk gubernia, which bordered on Chernihiv gubernia, Poltava gubernia, and Kharkiv gubernia. In 1934, with somewhat changed borders, it made up Kursk oblast in the Russian Soviet Federated Socialist Republic, with an area of 50,800 sq km. 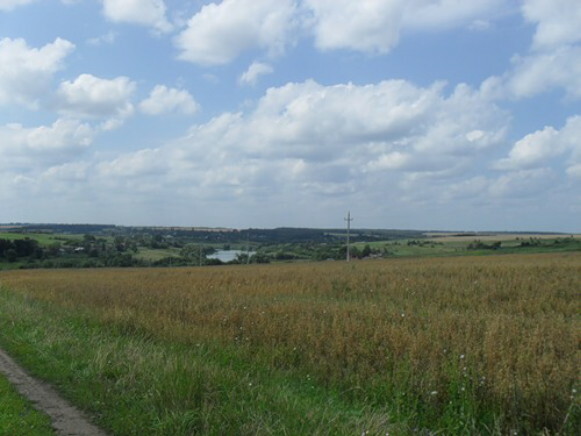 The region’s southern part (11,100 sq km) lies on Ukrainian ethnic territory and was inhabited by 554,700 Ukrainians (19.1 percent of the oblast’s population) in 1926. In 1954 almost all of this southern part, of which about half of the population was Ukrainian, was incorporated into newly created Belgorod oblast. Since that time Kursk oblast has had an area of 29,800 sq km, of which only 1,200 sq km lies on Ukrainian ethnic territory. In 1979 Kursk oblast had a population of 1,395,400; only 19,500 identified themselves as Ukrainians, of which only 9,300 stated that Ukrainian was their native language. According to the 2010 Russian census, 13,600 (1.2 percent of the oblast’s population) identified themselves as Ukrainians. 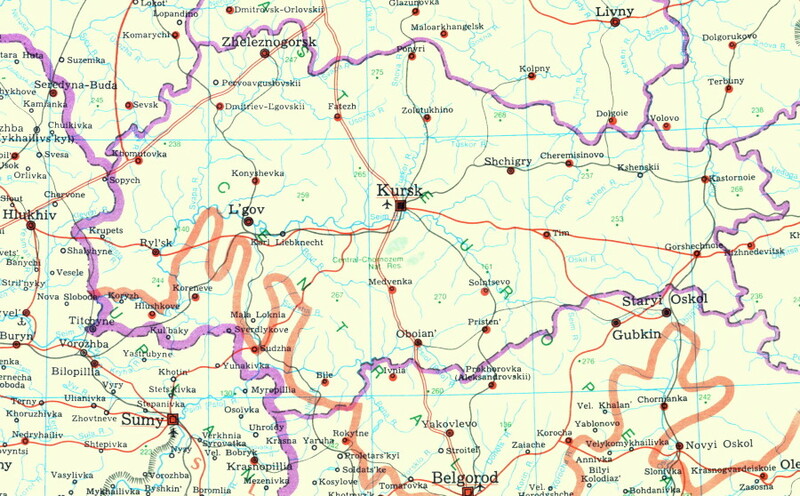 As in other parts of the Russian Federation, the Ukrainian population in the Kursk oblast is deprived of even minimal cultural rights, and Russification has advanced rapidly.